Do you have a brand name/ part number of the copper anti-seize to recommend? Loctite C5A and Bostic Never-seez Regular Grade are both copper based anti-seize compounds. Don't use this compound everywhere. Anti-seize compounds are developed for specific applications. Wrong applications can cause a chemical reaction creating corrosion or preventing electrical grounding. I have a selection of at least 4 types of anti-seize compounds in my garage to use as needed. 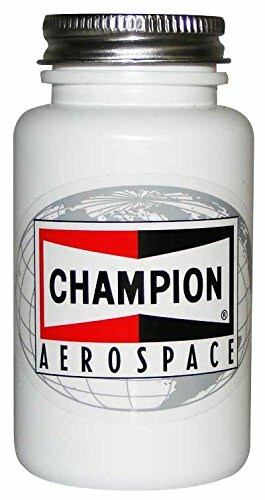 My 45 years of aviation experience provided me the knowledge when to use a specific anti-seize compound. Thanks Al, that is correct there are different types of anti-seize compounds that are use specific. Seth, the copper compound would either be Loctite 51147 C5-A and I believe the Permatex brand is 09128 but they usually have different sizes so the part numbers are different. Does anyone have any experience with Champion 2612? Aircraft Spruce and other aviation suppliers carry it. Manufacturer info: "A high-temperature, graphited lubricant for application to spark plug installation threads to prevent galling and seizure."